Did you know that lentils are a fantastic source of iron? Lentils are also a great source of protein and fibre and help to stabilise blood sugar levels. 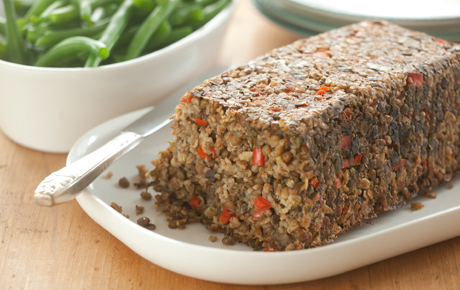 Here’s a recipe using lentils that might inspire you. Discard grit from lentils, rinse thoroughly. Place lentils and bay leaves in a large saucepan with 4 cups of water (less is required for tinned lentils). Bring to boil over high heat and simmer 2-3 minutes. Skim off foam that rises to surface. Reduce heat, cover and simmer for 30-45 minutes or under lentils are tender. At the end add a little more water or uncover and boil rapidly until the water is gone and lentils are tender. Heat tbsp of olive oil in fry pan an add leeks and sea salt. Add garlic, sage, rosemary and thyme and lemon zest. Sautee for 5 minutes or until leek is tender. Grease a 20 x 10cm loaf tin. Combine leek mixture with lentils (to the lentil pot). Add bread crumbs, soy sauce, mustard, basil and lemon juice – mix well. Spoon mixture into tin and smooth over top. Drizzle top with remaining olive oil. Bake for 35-40 minutes until top is crispy. Make sure lentils aren’t soggy. Sautee with olive oil and sea salt for two minutes. Add garlic and cook until mushrooms have wilted. Add flour and cook for another minute. Add more olive oil if flour gets too sticky. Whisk the cooking flour mixture, slowly drizzling in water (1 cup) with other hand. When lump free add soy sauce and simmer over low heat for another 5 minutes. Add mustard and stir well. Serve warm loaf with gravy on top and mashed sweet potato (with olive oil and a pinch of sea salt added to it) and steamed green vegetables.